So this will be brief. I grew up running this section of river with my Boy Scout troop. 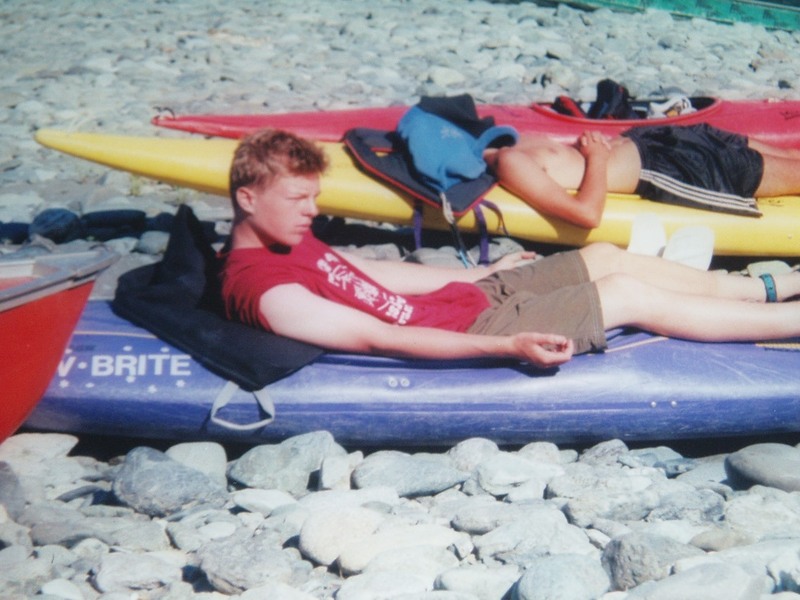 Each summer we would do a 50 mile canoe trip (and for the older boys, a kayak trip in our troop’s Corsica and Dancer kayaks). The trip would start on the Trinity at Hawkins Bar and go down through Willow Creek and to Tish Tang. 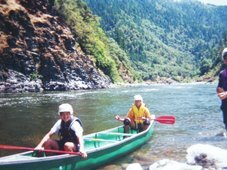 We would then skip the flat water of the Hoopa Valley, putting back in just above the Weitchpec Gorge and continue down to the confluence with the Klamath. This would take 2.5 to 3 days. 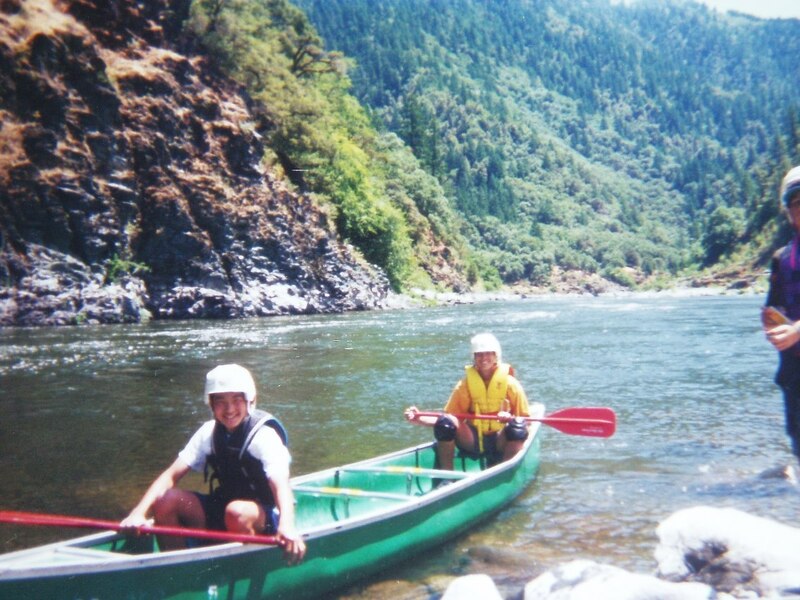 We would then spend a day doing a community service project for either the Hoopa or Karuk Indian tribes. 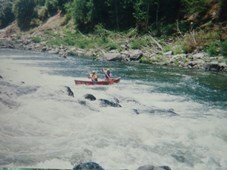 Following we would put on the Klamath a few miles below Orleans at Ullathorne Creek and paddle down 7 miles to Aiken’s Creek campground where we would camp. These days Aikens Creek is closed due to the discovery of Indian relics, but there is another campground across the highway from it that we used in later seasons. 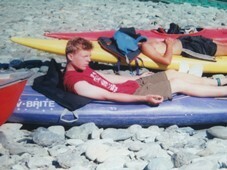 The next day we would continue down the confluence with the Trinity again… again taking out at Weitchpec. 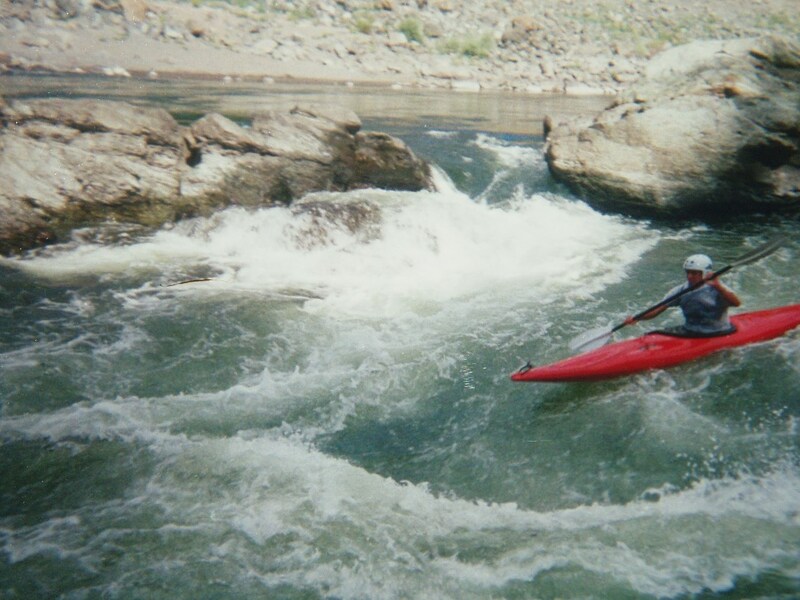 Each summer from 10 years of age to 18, I took part in this trip… eventually graduating to the kayaks, learning to roll, learning to surf… and taking my first whitewater swims. 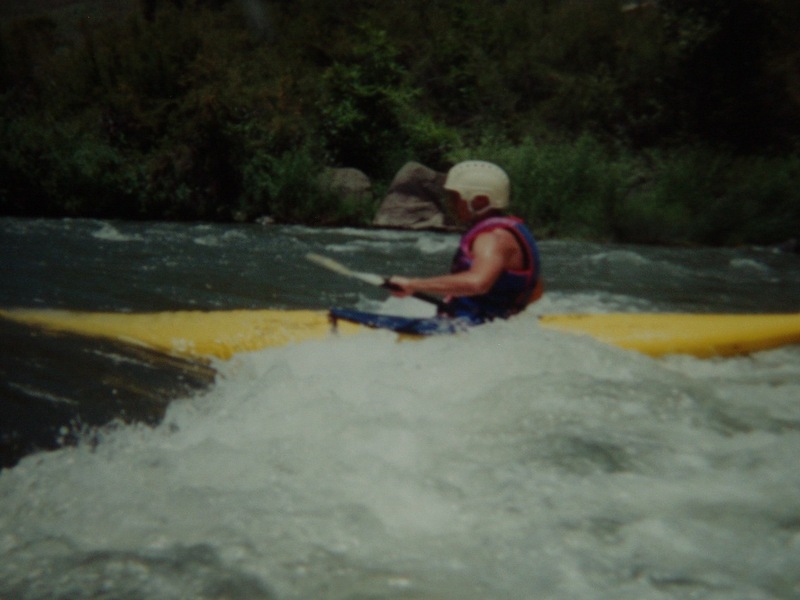 Obviously… over the past years I have continued to chase the adventures that the water offers and spend time with the friends who share the passions with me. A few things about the run… Weitchpec can be a bit dodgy. One year, a not so friend local held us up at gun point demanding money for each kid to pass. The adults persuaded him otherwise with some beer. A year later he was in jail and that was the end of those troubles. However car break-ins were common too. The river itself was very pleasant, albeit road side for its full length. Most of the river is flat… with a few exceptions which due to the volume of the river, always threatened to swamp our lake canoes which included nearly no floatation. But… each rapid ended in flat water… for a mile, so there was no harm! Bluff Creek (II+). Bluff Creek enters on the right as the river bends left. We scouted on the left. A chute with eddies on either side got our heart pumping. Upper Sturgeon (II to II+). Some years this rapid was fierce, other years the rocks would shift and it was nothing. We would scout right. Usually running down the middle avoiding whatever rocks where there. Sturgeon Hole. 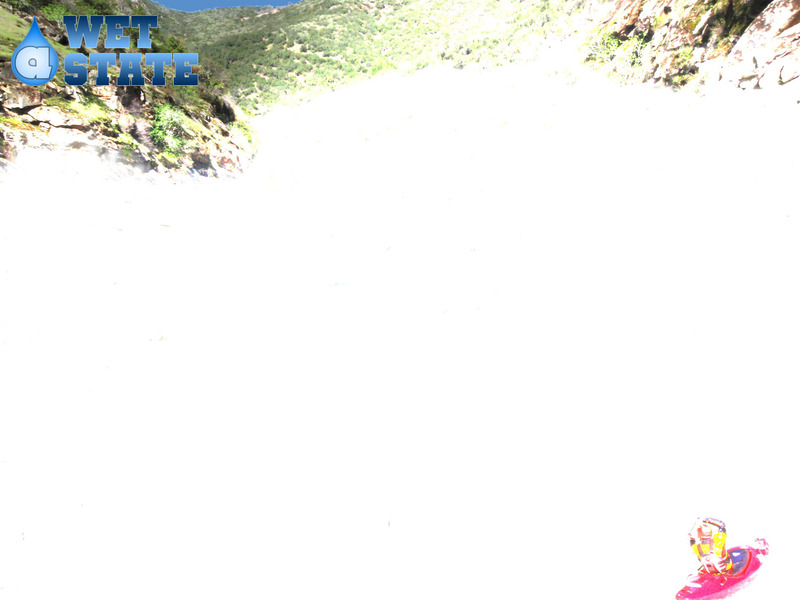 Just below, the river hits a granite wall and drilled deep into the river bed. We would cliff jump off a small 15 foot ledge here. Some days you could see deep into the river, and see massive sturgeon looking small deep in the water below. Lower Sturgeon (II to II+). Just below, the river makes a sharp zig zag left then right, piling up on the left wall before dropping into a small hole. Our success ratio on this rapid was not great. Aikens Creek. We would camp here at the campground… though it is closed now. You could probably still poach camping along the creek itself. I also vaguely recall finding a nice rock to jump off of on the creek one year. 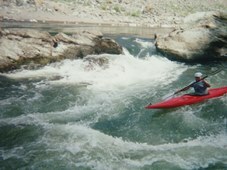 Confluence Rapid (II+). Some years the confluence would create large waves where the Trinity and Klamath collided. Other years it was just squirrely water. Take-out immediately below on the right. Take-out: As you drive North on Highway 96 you will enter the town of Weitchpec and cross the Klamath River. Immediately turn left on Martin’s Ferry Rd (Highway 169). After a few hundred yards turn left on Old Village road which drops down to a nice beach and river access. Put-in: Go back to Highway 96 and continue up 12.9 miles to Ullathorne River Access. Put-in here or continue up the Klamath and put-in just below the bridge on Highway 96 over the Klamath for another few miles of mellow floating.